To deliver quality HIV care, we found that primary care physicians need to have lots of HIV experience, and that involving a family physician in a patient’s care alongside an HIV specialist helps ensure they have adequate screening for co-morbidities like cancer. Compared to those seeing experienced family physicians and HIV specialists, patients of primary care physicians without much HIV experience are the least likely to receive antiretrovirals. Equally important for the full basket of care is that HIV care settings offer a multidisciplinary, team-based and coordinated approach to care, and community linkages, to ensure people living with HIV can be connected to a variety of needed resources. This kind of approach resonates well with Christine, a mother living with HIV in Manitoba. She understands the importance of leveraging the expertise of different providers to meet her needs. Since becoming HIV-positive, I have met a lot of people (myself included) dealing with mental health issues, self-harming behavior, addictions and struggling with housing, fatigue, depression on a large scale; people struggling with employment, personal relationships and the law. Each one of these issues is in their own category and a lot to put on one physician, while having a high expectation of good care. Through our research, we found that connections with mental health and addictions services are especially critical to people living with HIV and, at least in Ontario, people living with HIV visit psychiatrists more than any other type of non-HIV specialist. Interviews with HIV care providers across Canada indicated that there are still barriers to accessing these services in many provinces. Harm reduction is entrenched in the delivery of HIV care in some clinics, and is seen as critical to the delivery of patient-centred HIV care for vulnerable populations, although integration of harm reduction could be better. Innovations like eConsult, a telemedicine network that connects long-distance health-care providers to each other, will help bridge the gap between physicians and other health and social care providers, resulting in better and more complete care for the client as a whole person. Other eHealth technologies like electronic patient records can assist with team functioning by connecting providers who are not located at the same clinic. Well-developed referral processes are also beneficial, given that not all health and social-care providers potentially involved in a patient’s care are typically located under the same roof. That said, appreciating the number of disciplines and services required to meet the diversity of needs of people living with HIV in Canada, many clinics have built multidisciplinary teams. The most common non-physician staff in Canadian HIV clinics include: nurses, social workers and pharmacists, all of whom deliver a range of services from care coordination and case management, to support with the social determinants of health, and medication management. It is worth adding that one area of potential improvement is in the extent, range, and timeliness of mental health services for people living with HIV. Truly integrated teams have implemented specific tools and work processes to ensure members of the care team can work together to coordinate and deliver team-based care around their patients. The bottom line is that HIV care is better for patients and for providers not only when a patient is connected to care, but also when their care providers are connected to each other. Policy and funding environments must recognize this, if we are to evolve HIV care delivery to be truly patient-centred. 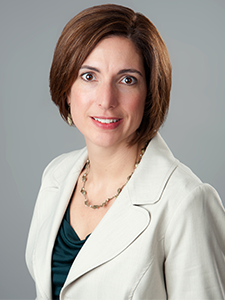 Claire Kendall, MD, PhD, CCFP, is a clinician investigator at the Bruyère Research Institute and an associate professor in the Department of Family Medicine and the School of Epidemiology and Public Health at the University of Ottawa. Dr. Kendall is the nominated principal investigator of the Living with HIV (LHIV) Innovation Team, which received a five-year grant from the Canadian Institutes of Health Research to explore opportunities to strengthen primary health care for people living with HIV in Canada. Katie Ablett, MA, is a research associate at the Bruyère Research Institute in Ottawa, working with Dr. Kendall and the LHIV team. 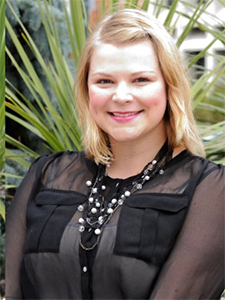 Katie has a master’s degree in public policy and administration from Carleton University, and a bachelor of arts (Hons.) in media and the public interest and a certificate in writing from Western University. Katie has worked with government, consulting and social profit organizations and enjoys leveraging her diverse experience to improve the health of vulnerable populations and communities. Katie’s work with the LHIV team focuses on knowledge exchange, communications, qualitative research and manuscript development. Bonjour, j’aurais voulu avoir plus de documentations sur le VIH et santé mentale ainsi que des sites sur ce sujet. Je vous en remercie par avance , je suis une fidèle lectrice de catie que j’apprecie énormement.